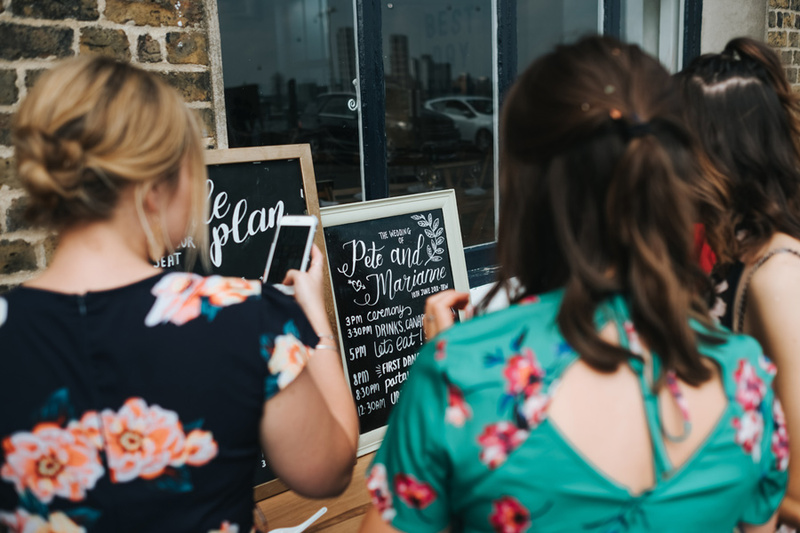 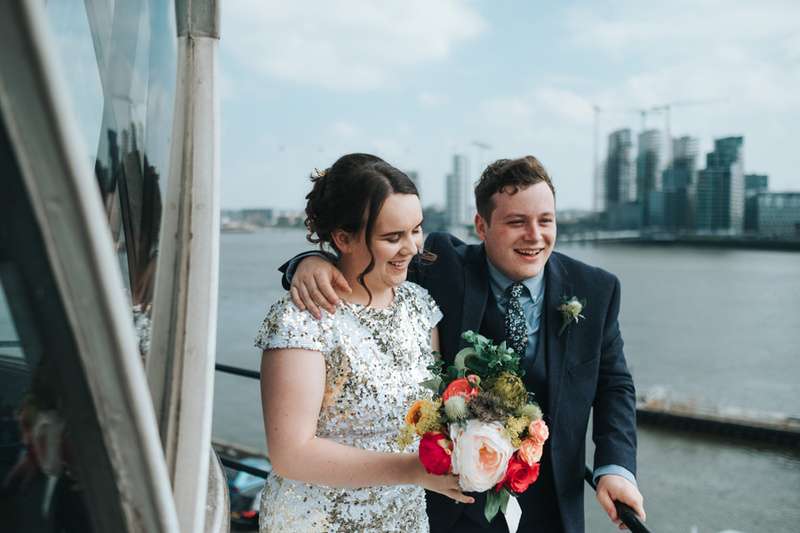 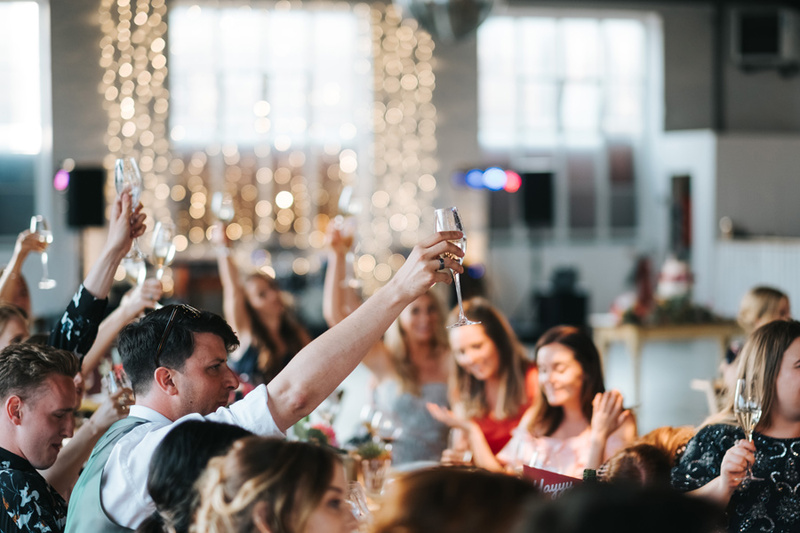 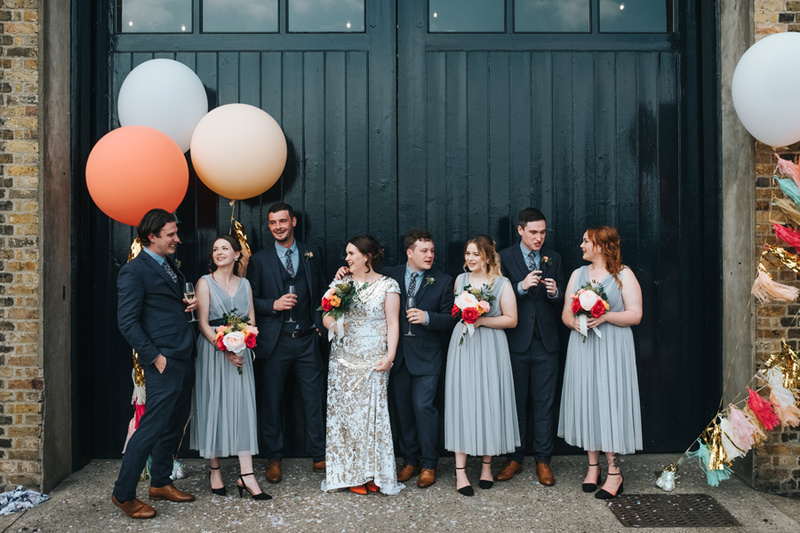 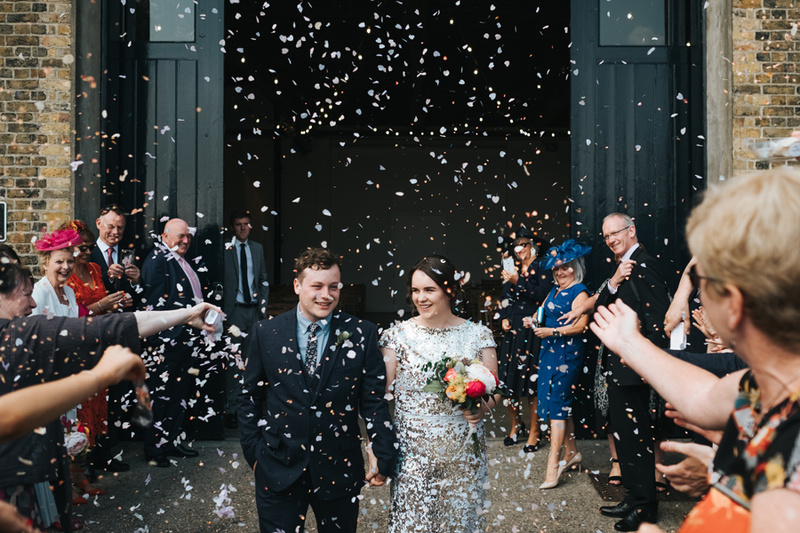 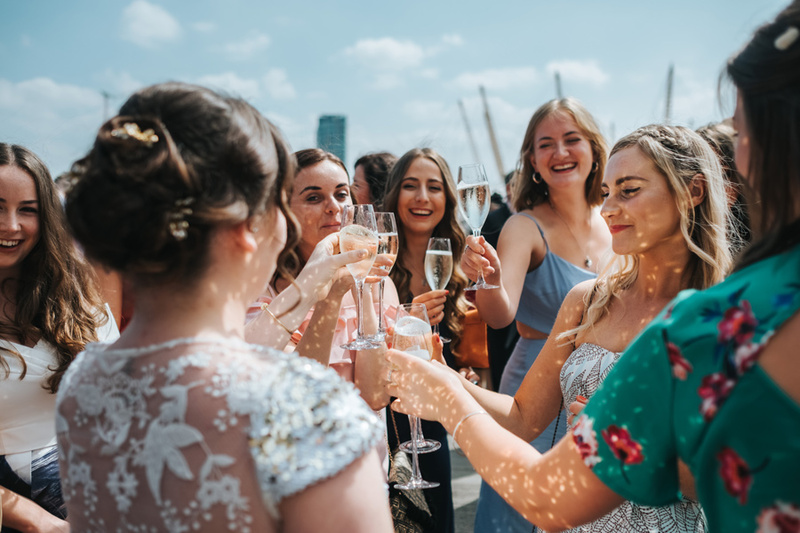 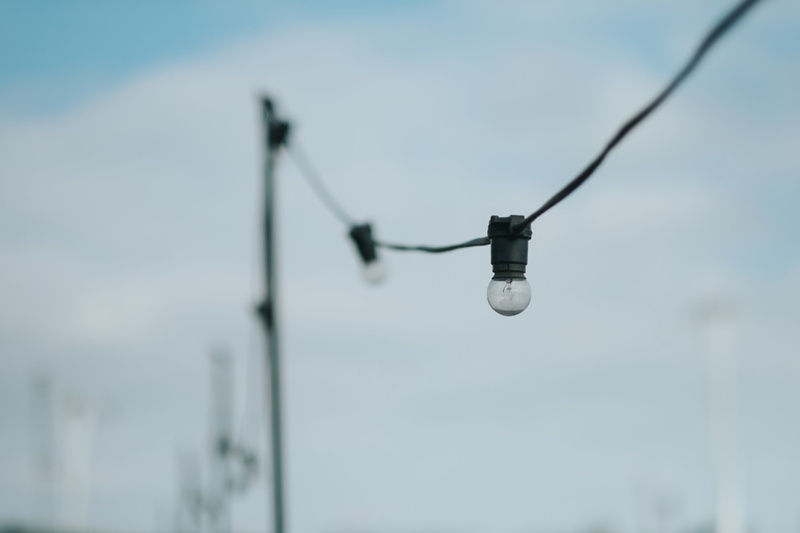 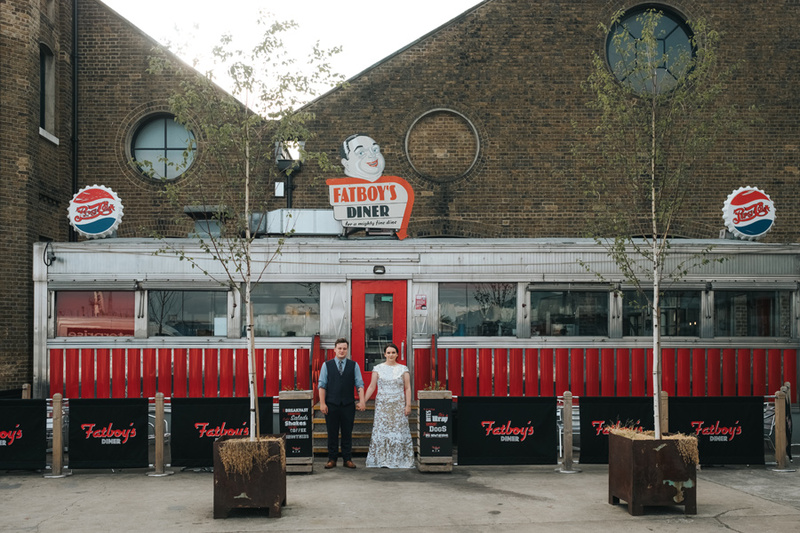 Pete & Marianne had a gorgeous, relaxed wedding day at Trinity Buoy Wharf in East London. 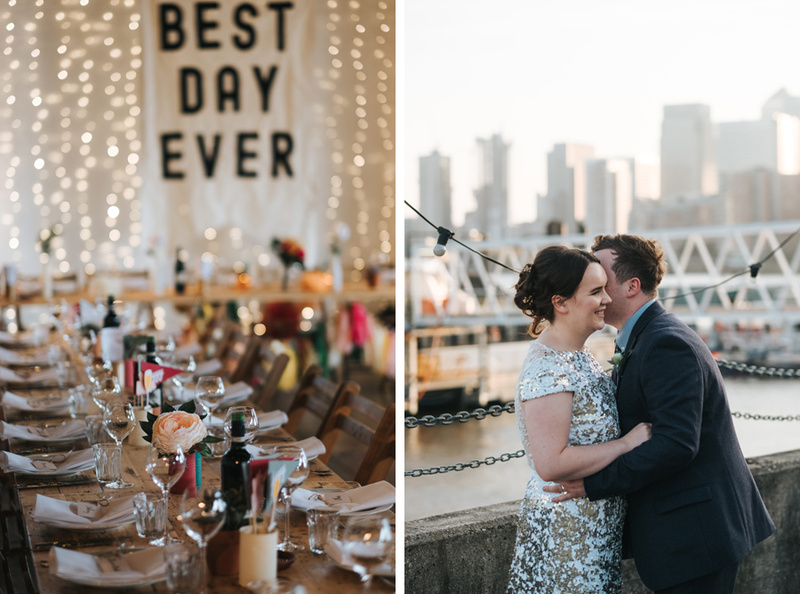 They decorated the space with lots of diy elements, bright colours, giant balloons, flowers and a handmade banner. 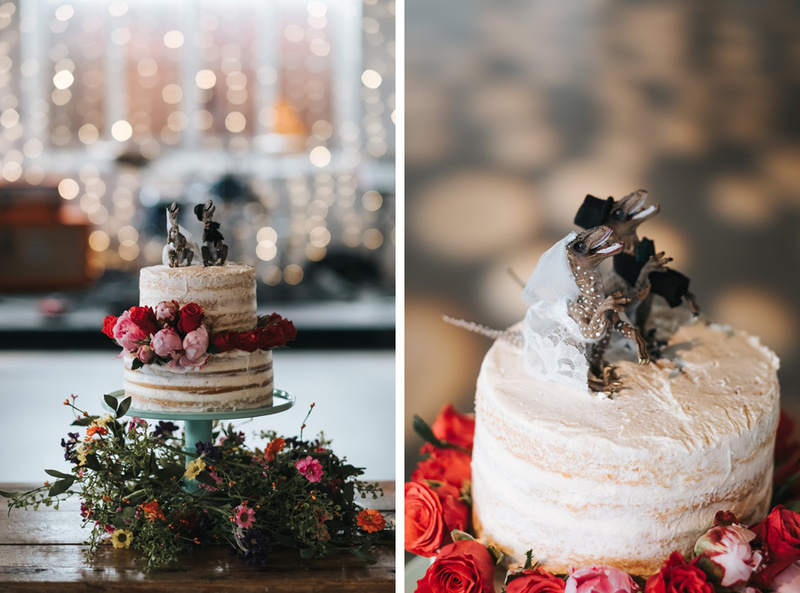 Marianne even made their wedding cake herself, topping it with the cutest dinosaur couple wearing mini wedding outfits. 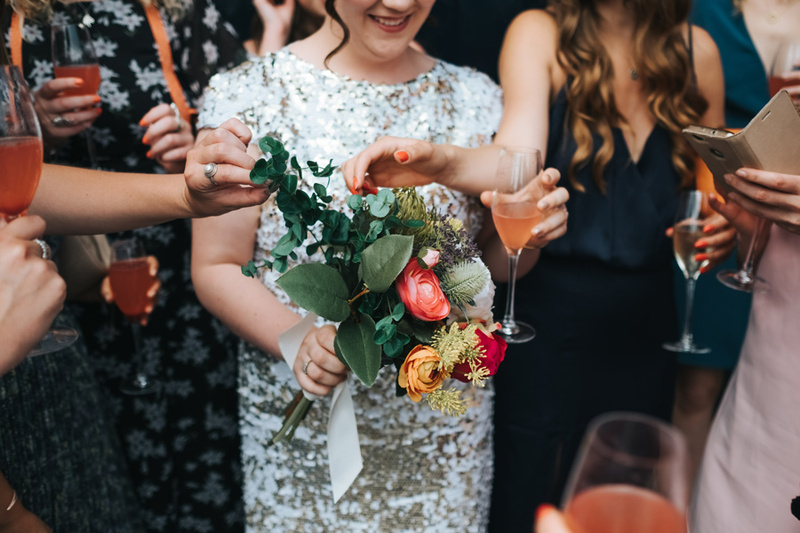 They had a fully vegan wedding and Marianne created all the bouquets for herself & the bridesmaids. 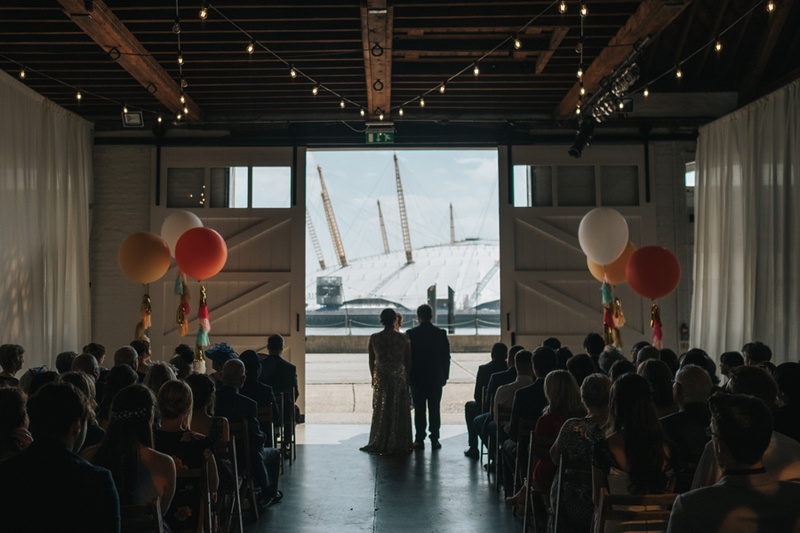 It was a beautiful, colourful, relaxed celebration on a sunny summer day in London. 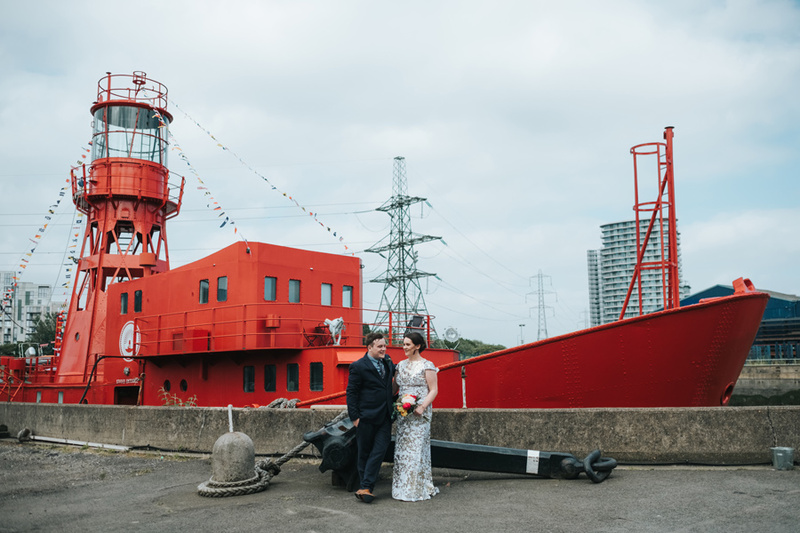 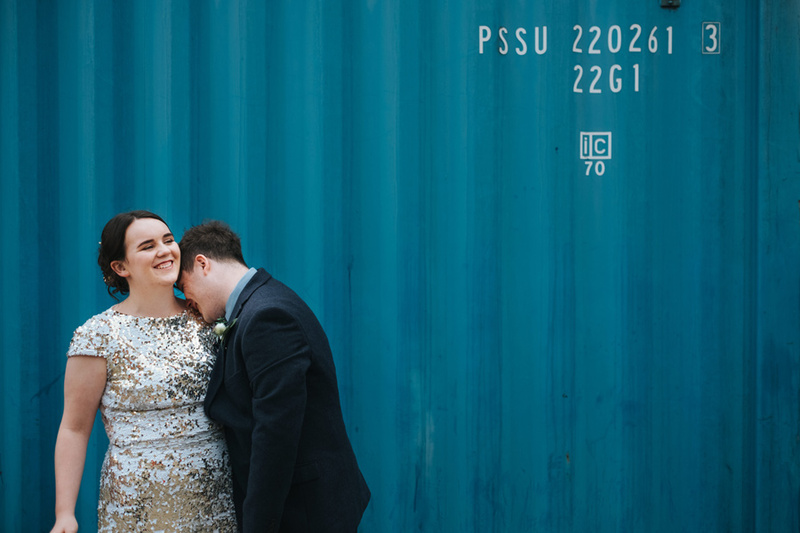 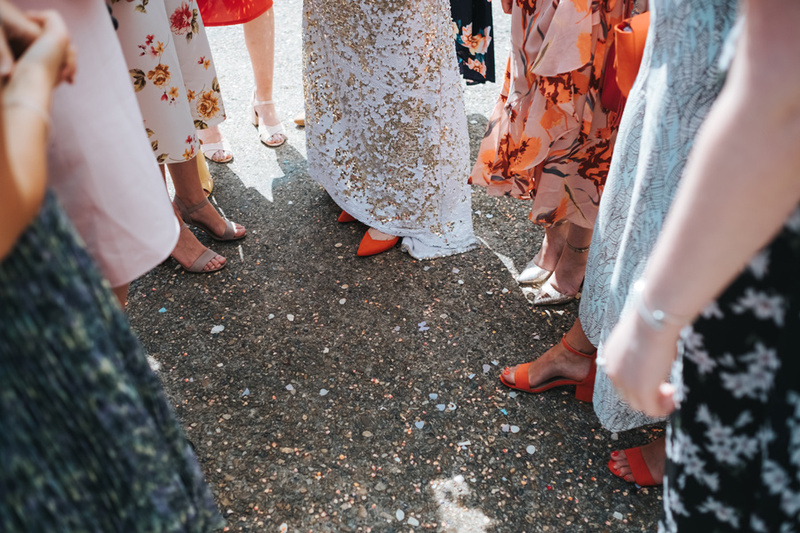 Here are a few previews from Pete & Marianne’s colourful East London wedding at Trinity Buoy Wharf.